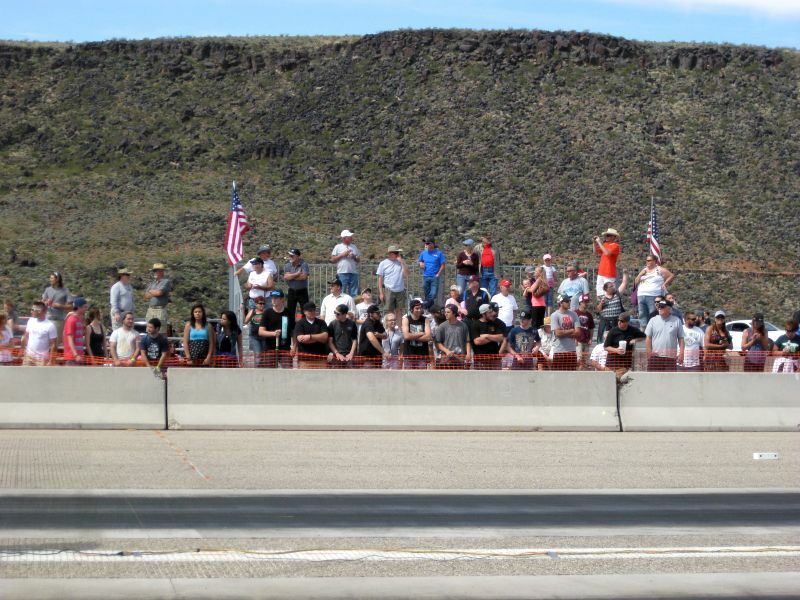 ST. GEORGE — Black Rock Motorsports and the St. George Lions Club began a new season of drag racing Saturday at the Ridge Top Complex in St. George. The old airport runway has become a quarter-mile drag strip for both local and visiting racers. All types of cars were racing Friday, from high-performance drag cars to motorcycles to a Volkswagen Beetle TDI. 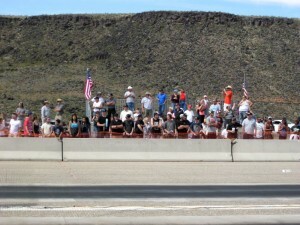 Spectators were in ample supply, enjoying both the racing and the commentary of the track announcer, who kept the crowd engaged between runs. Firefighters from the St. George Fire Department and paramedics from Gold Cross Ambulance were there to ensure the safety of the racers and the crowd. Racing continues Sunday on the same schedule as Saturday — test and tune at 8 a.m. and “King of the Hill” at 1 p.m. Admission for spectators is $5, and participants can race their cars for $25, with an additional $25 fee to join the “King of the Hill” race.